Accessorize with: Pair it with a pair of strappy flats, chic sunglasses and a handbag to complete the casual chic look! 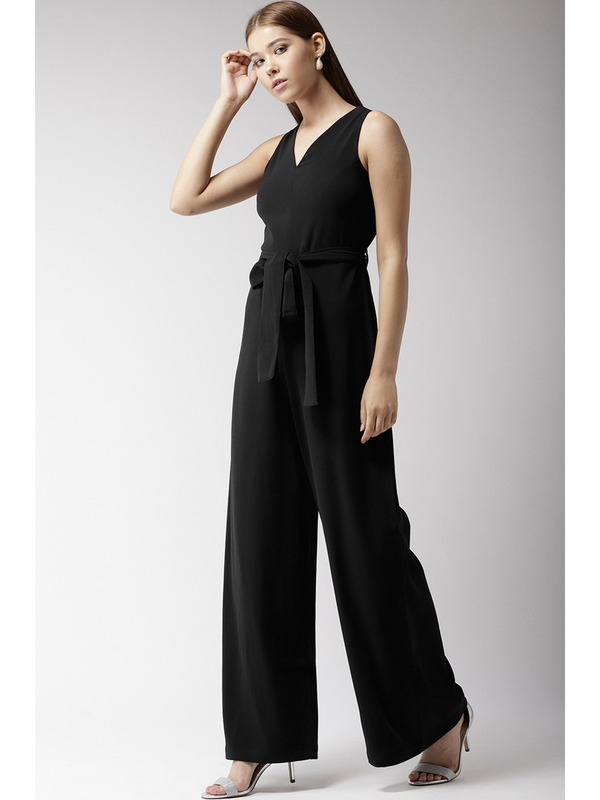 Black polyester crepe with lycra content jumpsuit. Comes with a detachable belt. 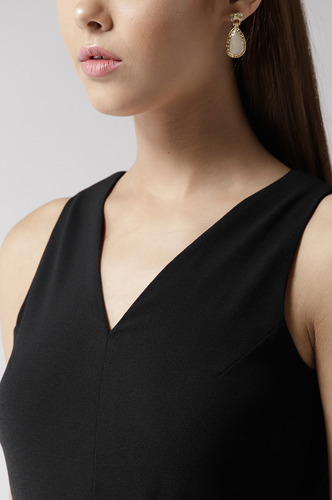 Sleeveless and has a V neckline.